The deal signed by Manmohan Singh and Li Keqiang does not settle the decades-old border dispute but imposes a modus vivendi meant to avoid armed clashes, stipulating each side treat the "other with courtesy". A safe border that allows the free movement of goods and people is essential to boost economic relations between the two powers. 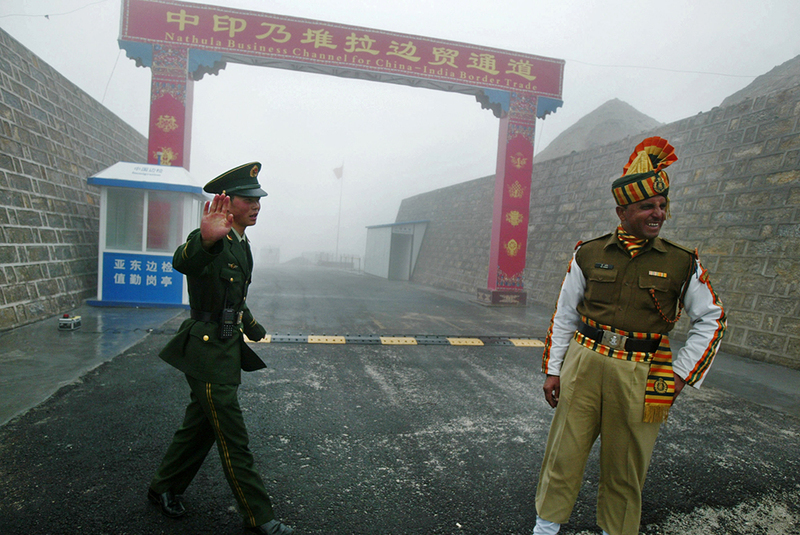 Beijing (AsiaNews/Agencies) - India and China have signed an agreement on border military cooperation, an important step for both nations, which have been at loggerheads for decades over their boundary demarcation in the Himalayas. Since they fought a brief war in 1962, which ended in a ceasefire, armed soldiers have never laid down their weapons. In fact, a three-week standoff occurred just this April in the Ladakh area. Under the terms of the new agreement both sides "shall not follow or tail patrols of the other side" along the disputed border. Neither side shall "use force or threaten to use force against the other" if their troops come face-to-face. The deal also stipulates that they treat each other with courtesy. The agreement was signed yesterday during Indian Prime Minister Manmohan Singh's visit to Beijing. Although the details about the agreement have not yet been made public, Chinese Premier Li Keqiang said it would help maintain border "peace, tranquillity and stability". For the two leaders, this is only the first step towards a new era of friendship. "China and India are two old civilisations," the Chinese leader said. Our two peoples have the wisdom and our two governments have the ability to manage our disputes along the border so that it won't affect the overall interests of our bilateral relations". In addition to the border deal, the two leaders signed eight other agreements concerning co-operation on trans-border rivers and transport networks. They also discussed economic matters. India wants greater access to the Chinese market and hopes to attract Chinese investments. In this perspective, the military deal is crucial. According to analysts, only the free movement of goods and people along a new Silk Road can lead to stronger economic ties between New Delhi and Beijing.